Caused by the fungal pathogen Wilsonomyces carpophilus, shot hole disease is most notable for affecting members of the Prunus genus. 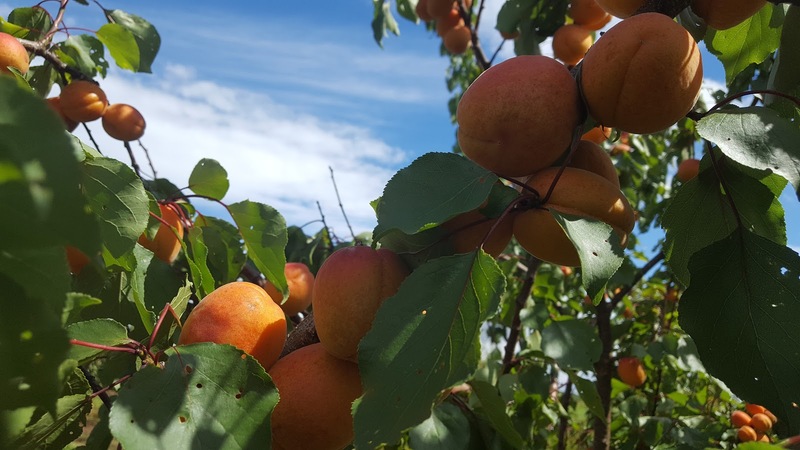 Also commonly known as Coryneum blight, it is rarely seen on garden specimens, however it is a serious problem for commercial growers of Almond, apricot, nectarine, peach and cherry trees. Infections can occur anytime between the autumn and spring, but is usually most severe following wet winters. As you would expect, Shot hole disease is most noticeable in spring as the new growth is most susceptible. Once a tree has become infected, shot hole disease produces small 1mm to 6mm reddish or purplish-brown spots occasionally surrounded by a light-green to yellow ring. 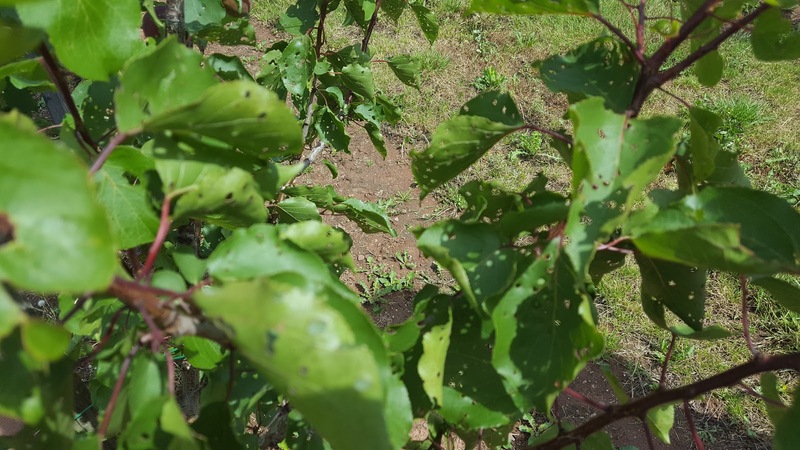 As the disease progresses the spots dry out and then fall away from the leaf leaving characteristic small holes of various sizes. To some the leaves look as though they have been fired upon by shotgun pellets - hence its popular common name. In significant infections, this loss of material from within the leaves will clearly reduce the amount of photosynthesis that can occur. This then has the knock-on effect of weakening the plant, and decreasing fruit production. To put this into perspective, it is estimated that approximately 80% of the California almond crop may be infested with shot hole disease. This is believed to result in a potential yield loss of 50-75%. The shot hole fungus is known to overwinter in infected buds and twig cankers. The spores are dispersed in spring by rainfall. On ornamental prunus species avoid overhead watering as this is a particularly effective way of spore dispersal. Be aware that the spores will remain viable, albeit in a dormant state, for months. For infection to occur temperatures will need to remain above 2 °C combines with approximately 24 hours of wet conditions. At higher temperatures shot hole infection will take hold in considerable less time. For example only 6 hours at 25 °C. Remove and dispose of any infected buds, leaves, fruit and twigs, preferably by burning. This includes contaminated leaves around and beneath the tree. In the autumn, apply a spray of copper fungicide or Bordeaux mixture. A subsequent spray during favourable conditions over the winter may also be considered with severe infections. Research in the 1930's found that applications of Bordeaux mixture reduced shot hole disease on peaches from 80% to 9%.